Witnesses in Arlington Heights report hearing a loud explosion, almost like a sonic boom, over Arlington Heights about 5:50 p.m. Sunday September 3, 2017. Other witnesses reported a bang, followed by rumbling. Witnesses reported seeing flames from the #2 engine of a Boeing 747 heading northbound over the Ivy Hill neighborhood, which is located just northeast of the intersection of Arlington Heights Road and Rand Road. Witnesses reported booms, rumbling, and strange noise from the aircraft as it was spotted headed northbound. over Arlington Heights. 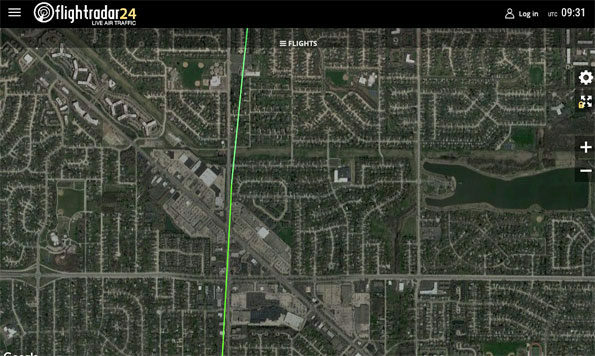 The aircraft plotted over Arlington Heights Road and Grove Street at 4,700 feet at 5:49 p.m. The Boeing 747 plotted over Arlington Heights Road and Oakton Street at 5,200 feet at 5:49 p.m.
About the time of the explosion or bang heard at 5:49 p.m., the aircraft was over Arlington Heights Road and Hintz Road at an altitude of about 5,600 feet. The pilot on British Airways reported they lost an engine and were experiencing vibrations. 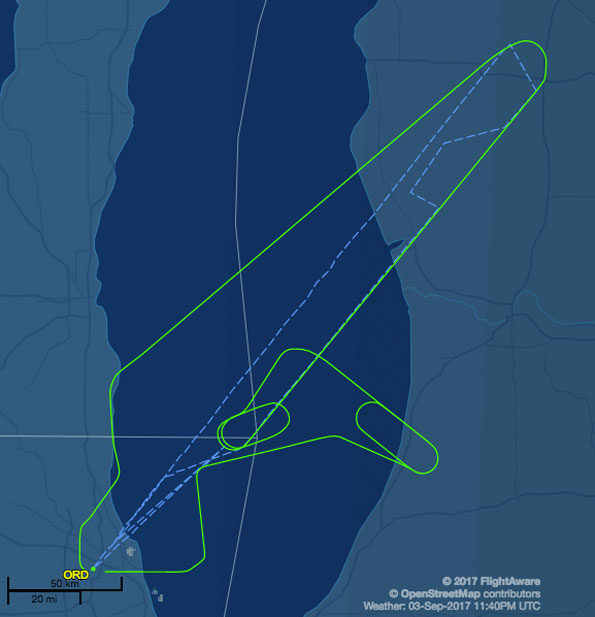 The aircraft continued to ascend until about 7:19 p.m. after it was circling over Lake Michigan and possibly dumping fuel. British Airways Flight 294 (BAW294) landed safely at O’Hare at about 7:41 p.m., according to Flightaware.com. British Airways Flight 294 was scheduled to arrive at London Heathrow (LHR) at 06:41AM BST (+1) on September 4, 2017. There was no official alert on British Airways official Twitter account. British Airways Flight 294 Route Map Return to O’Hare (Flightaware.com). According to a FlightRadar24.com history map, British Airways Flight 294 apparently took off from Runway 28R and returned to O’Hare, landing on Runway 28C. FlightRadar24 British Airways Flight 294 flight history map near point of engine fire observation (Arlington Heights Road and Palatine Road/Google Map and FlightRadar24.com history map).